Celebrating the life of George Milton Lones, Sr.
Obituary for George Milton Lones, Sr.
George M. Lones, Sr., 85, of Lakeview, OH passed away early Tuesday morning, September 18, 2018 at Logan Acres Care Center, Bellefontaine, OH. George was born on December 12, 1932 in Lakeview, a son of the late Floyd, Sr., and Vivian Walters Lones. He married Joan Williams on August 13, 1949 and they recently celebrated 69 years of marriage together. George is survived by his wife, five children, Kathryn (Michael) Pyles of Wapakoneta, OH, Patricia (Phil) Davidson of Pensacola, FL, Georgi (Don) Wisen of Santa Rosa Beach, FL, Jacque (Harroll) Castle of Destin, FL, and George (Lori) Lones, Jr., of Russells Point, OH, nine grandchildren, Jeffery Johnson, Shane Johnson, Erika Robertson, Dana Warner, Leslie Harris, Jason Wisen, Erica Lewis, Aaron Lewis, and George Lones, III, six great grandchildren, Mariane Johnson, Sage Robinson, Drake Robinson, Graham Gonzales, Savannah Wisen, and Sydney Wisen, a sister, Joan (John) Dodds of St. Marys, OH, a brother, Floyd (Terry) Lones, Jr. of Jackson Center, OH and several nieces and nephews. George attended Stokes Local Schools. He was a cutting tool specialist working at Excello in Lima and Tool Systems of Cleveland where he retired. 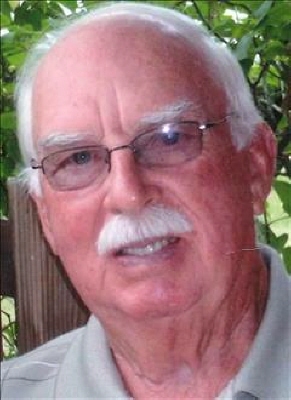 George was a member of the Indian Lake Northside Church of the Nazarene. He was also a 32 degree Mason of Ada F & AM Lodge #344, Indian Lake Moose Lodge #1533 and Indian Lake FOE Aeries #3615. George served as the first constable of Stokes Township. He enjoyed bowling, throwing horseshoes, and in his younger years, played fastpitch softball and coached youth baseball. He loved attending his grandchildren's sporting events. Reverend John Dodds will begin funeral services at 3:00 pm, Saturday, September 22, 2018 at Shoffstall Funeral Home, 205 S. Main St, Lakeview, with visitation 2 hours prior. Burial is in Walnut Hill Cemetery, New Hampshire, OH. In lieu of flowers, memorial donations in Mr. Lones' name may be given to a charity of the donor's choice. To send flowers or a remembrance gift to the family of George Milton Lones, Sr., please visit our Tribute Store. "Email Address" would like to share the life celebration of George Milton Lones, Sr.. Click on the "link" to go to share a favorite memory or leave a condolence message for the family.